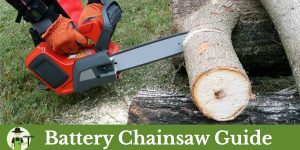 Chainsaws are powerful tools that allow you to cut through wood effectively. These machines can make easy work out of a big job. 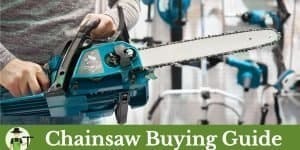 However, even the best chainsaws get worn down with enough use or without proper care. The state of your chain is the single most important factor in how well your chainsaw functions. That is why I have written this easy to understand guide on how to sharpen a chainsaw. I laid out 3 basic methods, so pick whichever you feel most comfortable with. Let’s get into it! 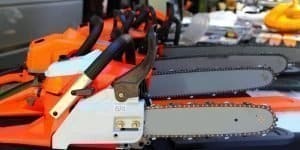 Although working with chainsaws always has some danger, using a dull chain can increase that hazard. 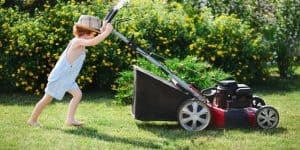 Uneven lines and pulling can cause mistakes that can lead to significant injuries. Proper care of the chain is vital to chainsaw safety. 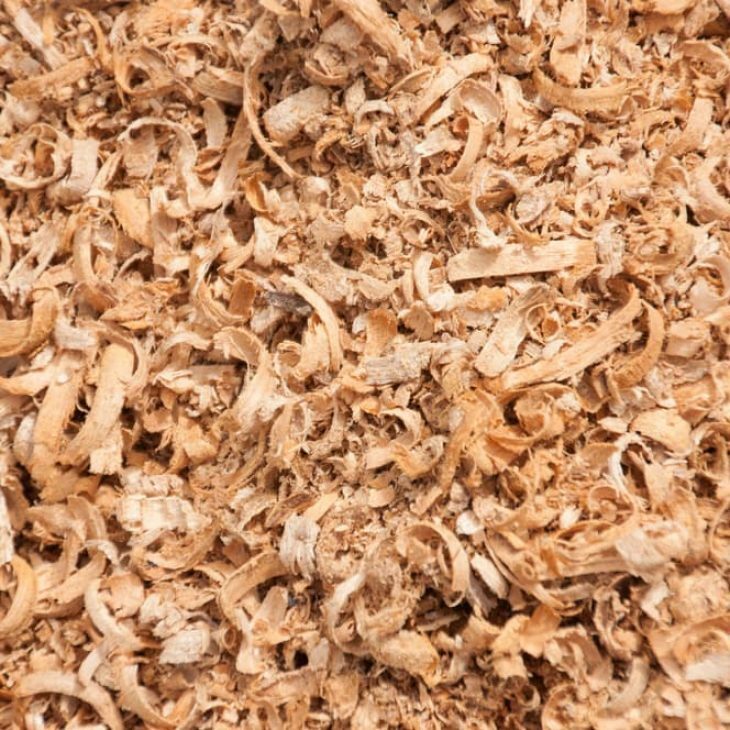 Furthermore, a worn blade can make cutting through wood less efficient and a bigger hassle than before. The chain may pull to one side, or it could just take longer to get through the wood. If you suspect your blade is dull, don’t worry. You can learn how to sharpen a chainsaw in a few steps. Before you learn how to sharpen a chainsaw, it’s important to know when it’s time to do it. There are a few obvious signs to look for to be sure it’s time to get out the sharpening tools. If you notice any of these problems, it’s time to work on your chain. When a chainsaw works well, it pulls itself into the wood, which makes cutting easy as can be. However, a dull chain will cause you to have to push the saw more than before. If you find yourself applying more and more pressure every time you take out the saw, it’s time to get the sharpening tools out. If you’re not sure if it’s pulling as it should, consider how much effort you have to put into the cut. Are you tiring out faster than you should? If so, it might be time to sharpen the blade. If you’re still not sure, check out the other signs. 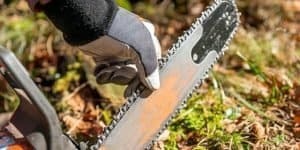 There’s one simple test that can tell you whether it’s time to sharpen your chainsaw. First, do a split or cross cut on a piece of wood. Then, examine the waste. If the waste consists mostly of chips, your blade is fine. However, if you get a fine dust, it’s time to file the chain. If the waste of your cut looks similar to this, your chainsaw is sharp. But if the waste is very fine dust like the above picture, it is time to sharpen that chain. 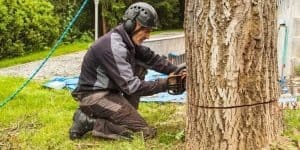 Have you noticed that your chainsaw is harder to use than before? Does it bounce around and tire you out quickly? If so, it may be because your chain needs a tune-up. If you notice this symptom, be sure to sharpen your chain right away. Rattling can cause kickbacks and risk injury. The first step to learning how to sharpen a chainsaw blade is to find the proper tools for the job. Without the right equipment, you could end up making the chain worse and needing to buy a replacement. There are many kits and tools for sharpening your chainsaw, but those that follow are some of the best. This kit has everything you need to sharpen your chainsaw’s blade and get it back into cutting shape. It comes with three round file sizes, a wooden handle for ease of use, a filing guide, and a carrier pouch. Each of these pieces is made from high-quality materials that are made to last. The three round files and the one flat fine-tooth file allow you to tune your chain correctly. The handle has a smooth finish and is contoured for a secure grip. Perhaps best of all, the gauge tool allows you to sharpen with precision and get your saw to perform better than before. If you have a Dremel, you have the power you need to sharpen your chainsaw blade quickly. All you need is a few attachments. The A679-02 kit comes with sharpening accessories for several gardening tools, including one for a chainsaw. It also comes with a gauge, spacers, and an instruction manual so that you can get back to cutting wood as quickly as possible. These attachments fit most Dremel models. This puts the strength of your Dremel behind your chainsaw and allows you to sharpen the blade quicker than you could by hand. Please note that if you do not have a Dremel, this kit will not work properly. If you actually want to restore your chain to its former glory, you want to be sure that you sharpen each tooth the same amount. While this is possible with hand-sharpening kits, it can be hard. Granberg solves this problem with this tool. Mount the G106B to the guide bar and get going. It will make each tooth evenly sharp and get your chain to feel new again. This is perhaps the most precise way to file your blade. Maybe that’s why it’s become a go-to tool for many enthusiasts. No matter what tools you choose to sharpen your chain with, you will need to understand the chain and all its components. Most importantly, you need to be able to identify the two parts of the blade that you will sharpen and the part that helps you keep track. First are the two semi-circular cutting edges. Every other edge will face left, and the others will face right. To sharpen these cutters, you will use the round file of the same diameter as the cutters. Often, these cutters are just worn down after many uses. If this is the case, you can sharpen them on your own. However, sometimes the cutters get damaged by rocks and other debris. If this is the case, it’s better to take your chain to a professional to get it fixed. Otherwise, you can purchase a new chain. For filing your chains depth gauge, you will need a flat file. This is what a correctly sharpened chain should look like. The second part of the chain you need to know about is the depth gauges. When you look at the chain, the depth gauge will look like shark fins and will be in between each pair of left and right cutters. This gauge tells the cutters how deep into the wood to go with each pass. The depth gauges should be just a tiny bit shorter than the cutters. You can sharpen a good chain’s gauges several times before they become level with the cutters. However, once this happens, it may be best to replace the chain. Finally, be sure to keep track of the chain I.D. number as you sharpen. You can find the number on the opposite side of the chain. 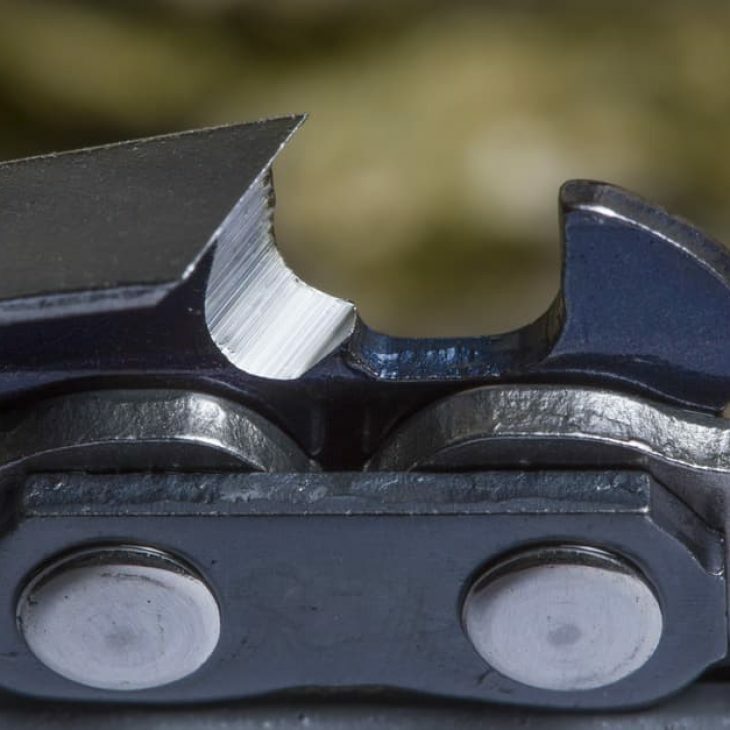 This identification simply keeps you from sharpening one gauge or cutter twice and making your chain uneven. 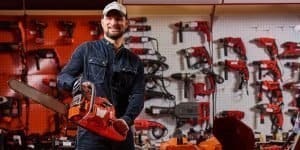 If you choose to get the Katzco kit or something like it, you can sharpen your chainsaw with just the tools in the kit. This method can seem intimidating at first, but it’s simple when you get the hang of it. This process should take about 10 minutes. Before you begin, be sure to get gloves and a vice to grip the bar. This will help ensure safety. 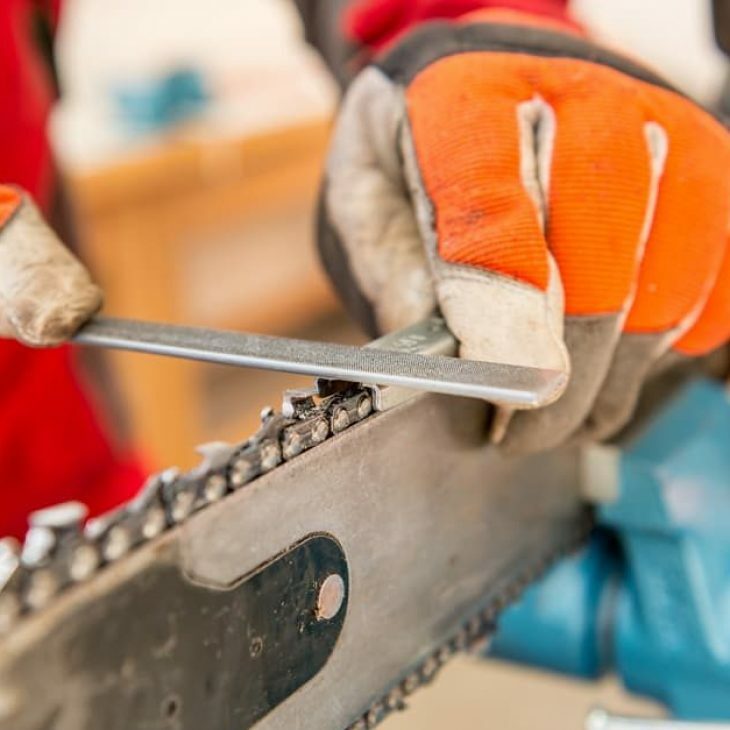 Start by putting on your heavy-duty gloves and engaging the chain brake on your saw. Then, clamp the chainsaw’s blade firmly into the vice. Now, you’re ready to get sharpening. Next, it’s time to position the guide bar from your kit into the rivets of the chain. To do this properly, make sure the arrows on the guide point toward the nose of the bar. Now, take the round file and stroke it along the guide. Be sure to go with the angle of the cutter. At this stage, be sure that your strokes are steady and even. The file should be parallel to the ground, and you should move it away from your body. It should only take about two or three strokes before you see some shiny metal. When you see that, it’s time to sharpen the next cutter of that direction in the chain. After you’ve sharpened a few cutters, it’s time to rotate the blade. Disengage the chain brake, carefully turn the chain to expose more cutter, and the engage the brake once again. Repeat these steps until you have sharpened all the cutters on that side of the chain. Once you have sharpened the cutters on one side, release the chainsaw from the vice. Then, flip the saw around so that you can work on the cutters that face the other direction. Clamp the chainsaw again and repeat each of these steps on this side. Once you have sharpened each cutter on both sides of the saw, you must ensure that the depth gauges are lower than the cutters. Remember, if the gauges are too high, the saw will not cut. 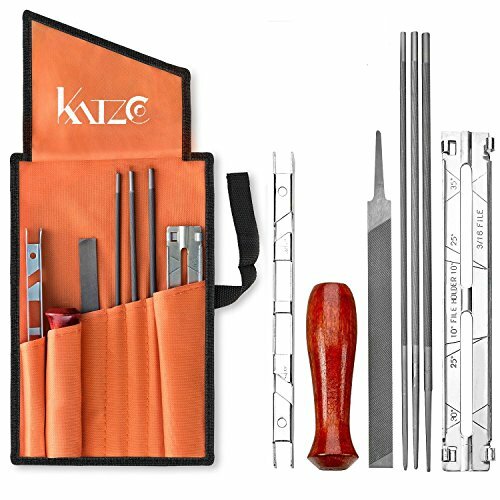 Take out your gauge tool from your kit. Place it over the gauge and observe the depth gauge’s height. If the gauge comes above the tool, file it down. Repeat until each gauge is at the appropriate height. Now you know how to sharpen a chainsaw chain. For best results, it’s important to sharpen your saw often. Any time you notice the symptoms of a dull blade, use these steps to restore your chain. If you want a little more power when you sharpen, you can use Dremel attachments. The basic idea behind how to sharpen the blade is similar to the instructions for filing with a file guide. However, this will make the process even faster. First, engage the brake and put on your gloves. Then, put the bar of your chainsaw into a vice and make sure it’s in tight. 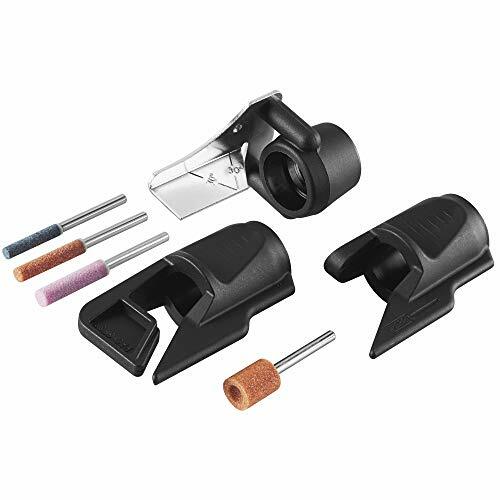 Next, find the correct diameter of sharpener from your Dremel sharpening kit and insert it into your tool. Then, attach the guide tool to the Dremel as well. This will help you be sure that you sharpen all the cutters evenly. This is the same piece that helps you sharpen lawn mower blades. Now, it’s time to sharpen. Place the grinder alongside the edge of the cutter. Be sure that the guide is parallel with the cutter. Now, give the tool some power and count to four. You should see shiny metal. Continue to sharpen each cutter on this side of the blade, making sure to stop and rotate the blade every five or six times. 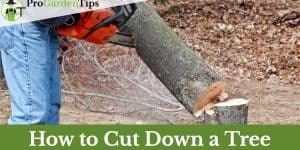 Once you have sharpened each cutter on that side, flip the chainsaw and work on the cutters that face the opposite direction. Once you have finished getting the cutters into great shape, don’t forget about the depth gauges. For the depth gauges, it’s best to use a guide and a flat file, even when you have Dremel accessories for the cutters. This allows for precision, which is vital. Put the filing guide so that the opening is over the gauge. If the gauge sticks out, use the flat file to grind it down. Don’t skip this step. If the gauges are higher than the cutters, the chain will not work. Be sure to sharpen your chains any time you believe it may be dull. To keep it from dulling quickly, keep the chain clean and store it away from dirt. Another handy tool for sharpening your chain is the Granberg Bar-Mount Sharpener. This tool allows for uniformity and makes sharpening even easier. 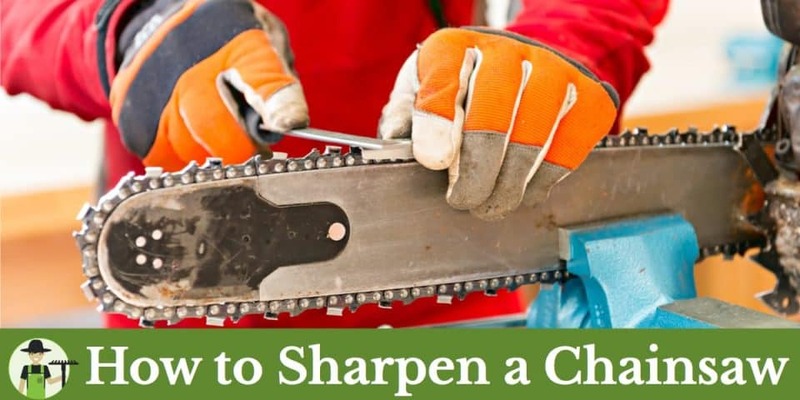 You can learn how to sharpen a chainsaw with these easy steps. As always, start by putting on your gloves and clamping the bar of the chain into a vice. Then, install the correct fil into your Granberg device. Please note that the instrument does not come with files; you need to purchase those separately. Next, mount the sharpener to the bar. Be sure it’s tight enough not to move freely. Then, adjust the angle of the sharpener. Be sure to consult your jig’s manual to do this correctly. Position the file against the cutter as you would with other filing systems. Make one or two strokes until you see shiny metal. The device will help keep your strokes even. Move the chain forward after each cutter. Be sure to note the number of the cutter you started on so that you don’t double-sharpen any. Once you have completed one side, flip the mounted sharpener to complete the steps on the other side. As with any other sharpening method, you should not forget about the depth gauges. Use the gauge guide and a flat file to be sure the gauges are just a little below the cutters’ edges. 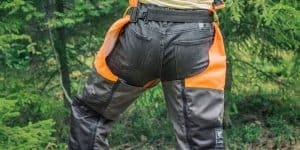 Why learn things the hard way when you can get some advice from chainsaw professionals? 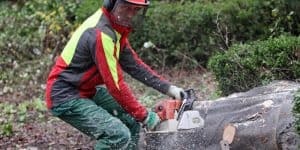 Although chainsaw sharpening is straightforward, there are a few tips that can make your life easier. As you sharpen your cutters, be relentless about using the same pressure and number of strokes on every cutter. If one side is sharper than others, it will be difficult for you to cut in a straight line. You may notice that it pulls to one side if you don’t do this correctly. That’s why a bar-mounted sharpener can be so helpful. It keeps the pressure consistent, so you get even sharpness. 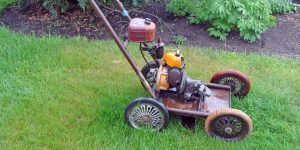 While this is an extra tool to buy, it can save you money in the long run. If you end up with uneven cutters, you may have to either replace the chain or take it to a professional. 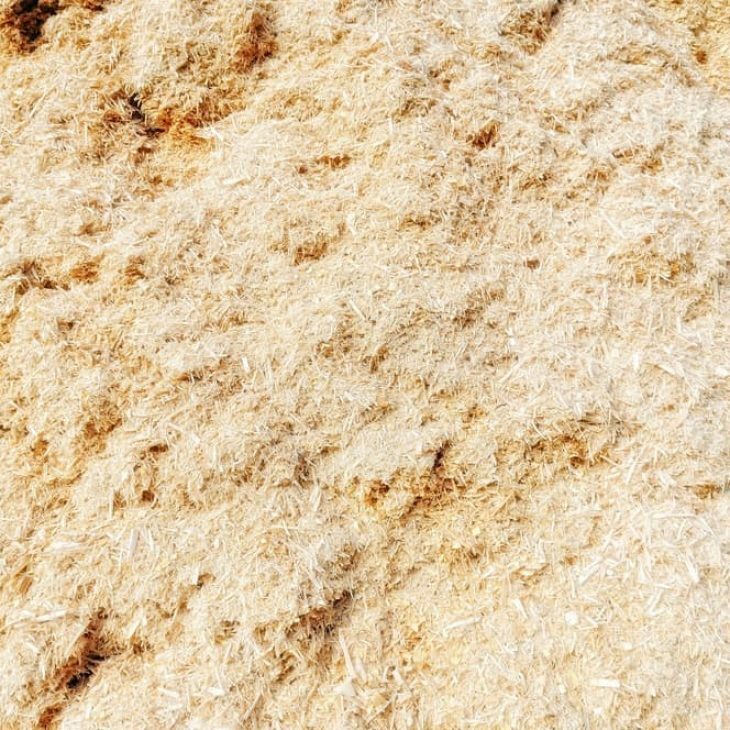 A professional can regrind each side to ensure uniformity. However, you can avoid this hassle with precision from the get-go. Typically, you can sharpen the cutters on a chain about ten times before it’s time to replace the chain entirely. However, putting a brand-new chain on an old saw can cause problems. Sometimes, they simply won’t mesh. You can avoid this by getting two chains when you purchase the saw. As you use your saw, alternate between the chains with each job or two. Keep both chains sharp. This will give you 20 or more sharpening sessions before it’s time to bother with a new chain. Only use round files to sharpen the cutters and avoid rattail files. These files are thicker on one end and get skinnier. Using such a tool will cause an uneven file, which can ruin your chain. Regular wear and tear can make your chain dull, but improper care can speed this process up. After each use, you should be sure to clean your chain. Leaving dirt on the chain can cause unnecessary erosion and make you have to sharpen sooner. Be sure to store your chainsaw and chain correctly as well. 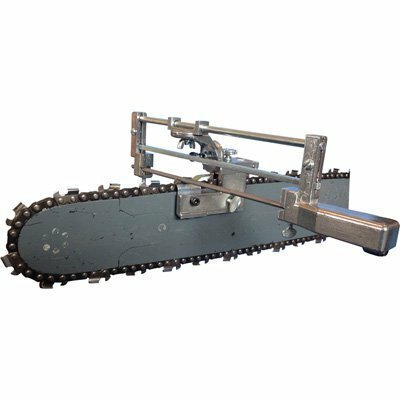 If the chain is left to collect dirt or if it is exposed to the elements, it can damage any part of the saw, including the blade. Store it in your garage or shed to keep it from getting dull and dangerous. Chainsaws are incredibly powerful tools. As such, they require proper care and maintenance to stay safe. If you’re ever unsure about how to sharpen a chainsaw or if it seems to have serious problems, consult a professional. This is better than attempting to fix it and making things more dangerous.